1. Start a budget and stick to it (check out cool programs like MINT that have apps to help you track all of your spending). 2. Switch from cable to Netflix or another online streaming option like Amazon Prime. 3. Do away with your landlines and just use cell phones (if you prefer to keep a cell phone plan that has limited minutes, consider a VOIP type home phone system such as Magic Jack). 4. Start shopping at a store that allows price matching (we go to Real Canadian Superstore but most Walmarts with grocery departments will allow you to price match too). 5. Skip the “poo!” Yep, I said it! Don’t wash your hair every day! You will actually find that your hair is much healthier when you don’t strip it of precious oils every day and you will save tons of money on hair products over time! 6. Eat at home! This one simple step may save you hundreds of dollars a year depending on how much your currently rely on restaurant or fast food! 7. Say sayonara to Starbucks! 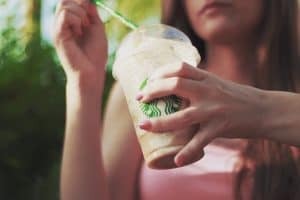 Who doesn’t love a Salted Caramel Almond Frappuccino (with no whip) from time to time, but seriously…if you add up how much you spend in one year on coffees or coffee based drinks you would be shocked! (Plus the calories and sugar in these tasty bevs are literally frightening). 8. Shop online. 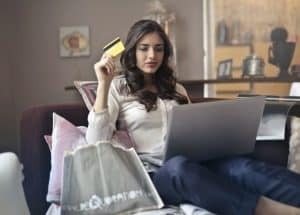 By shopping on your computer instead of purchasing in store, you remove the impulsivity of needing to have the product in hand right away and also can easily shop around for the lowest price without using one penny of gas! 9. Pay with cash! If you are someone who tends to rely on credit and then overspends, paying with cash can help to keep you on track with your budget and prevents you from overspending. It also can be eye-opening! 10. OR…pay with credit! As long as you are diligent about paying off your credit card bill every month and keeping it at a zero balance, paying with a credit card could mean accumulating lots of free points that you can redeem for things like flights, restaurant gift cards, gas cards, or even cash back depending on the card you choose! 11. Never go shopping without a list! I live by my lists, and grocery lists are no exception. Make a detailed list of everything you need, and stick to it! 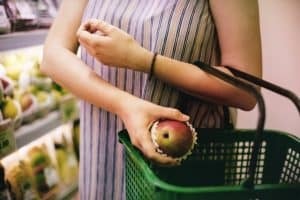 No impulse buys for snack food items or extra cereal just because the kids beg…this is a great way to teach them about budgeting and encourage them to put their items on the list too! 12. Use your library. Nowadays, libraries offer a lot more than endless rows of dusty books. Our local library stocks books, magazines, DVDs, and even e-books! As a bonus, they also offer many free programs for all ages such as story time. 13. You would be surprised what you can find on local discount sites like Groupon. Everything from discounted restaurant packages to travel, and more! 14. 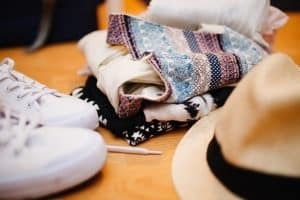 Instead of trashing your children’s clothing (or yours) and toys, why not sell them at a local consignment store or list them for sale on Facebook marketplace, kijiji or craigslist? One man’s junk is another man’s treasure! 15. You can literally save hundreds by cashing in on coupons. Some coupons come in your newspaper along with flyers, others can be printed online, and with some companies you can go directly on their websites and either print from there or sign up for mail deliveries for the brands you typically buy. 16. Or…don’t use coupons! Be sure that what you are buying is actually saving you money. Oftentimes, coupons are for name brands or new items that are unlikely to be on sale. Buying the generic brand may actually save you more than the coupon. 17. Buy generic brands. Many items from clothing to over-the-counter medications to food come in generic brands that are 100% identical to their counterparts, only cheaper! 18. Buy Nothing. This is a movement that is sweeping the nation! Chances are there is a “buy nothing” group in your area. Check facebook or ask around! These groups are designed to minimize waste. You are able to post items you no longer want or need and others can express interest. You can choose the person you’d like to gift the item to and arrange for pick up! It goes both ways too! If you see something someone else has posted that you would like or need, simply comment and express interest! 19. Buy used. From consignment stores to yard sales and online sites, buying used is somewhat of a trend! Many gently used items sell for a fraction of the cost of their new counterparts, and oftentimes you cannot even tell the difference! 20. Shop sales. Almost EVERYTHING goes on sale, sometimes in a cyclical fashion! Pay attention to stores past sale dates, and don’t be afraid to ask stores about future sales! 21. Refurbished. Almost everything from clothing to electronics can be purchased refurbished. Just be sure that any electronics come with a warranty. On the plus side, if it has been refurbished, chances are they have already rectified any potential problems you could have had with a new item! 22. Avoid the urge to buy on impulse. Oftentimes, if I go home and think about a purchase for a few days before buying, I realize that I truly don’t need another purse or pair of shoes or perhaps I find the same one for cheaper elsewhere! 23. Buy in bulk. This one can be tricky, so always make sure that buying in bulk actually saves you money. Stores like Costco often post the price per gram, so it is a lot easier to see if it is actually saving you money. 24. Take advantage of low interest rates and refinance to save monthly. 25. Reduce bills. Gather all of your bills and start contacting the companies to see if they will work with you on reducing monthly costs. You may be able to negotiate lower interest rates, utilities, internet, cell phone bills, and more. 26. Save on energy. 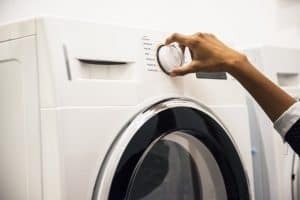 By learning about peak times, you may be able to plan your use of major appliances according to the lowest energy cost times. For instance, I plan to do my laundry before 7am or after 7pm to take advantage of the lowest energy times. 27. Go HE on appliances.You will save tons of money in energy expenditure and upgrading typically pays for itself over time. 28. Use public transport. If you commute to a place of work and typically spend more than 30 minutes in your car (or pay for parking), then riding the bus or taking a commuter train could be an excellent way to save money. 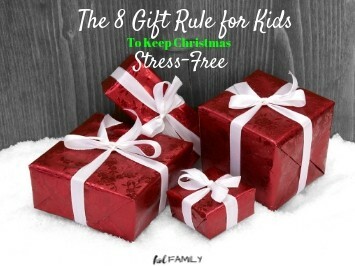 Plus, you will have some free time to read a book, sleep, or peruse your favorite blogs! 29. Get rid of gas guzzlers. If you are driving a big, honky vehicle and are not getting good gas mileage, it may be wise to trade it in for something more economical. Some cars may save you up to 50% of what you are currently paying at the pump. 30. If you typically find yourself paying drop-in fees over and over for things like public swimming, indoor play centers, waterparks, etc., look into the yearly membership fee for possible savings. Just be sure it is somewhere you frequent often enough to justify the membership. 31. Strategic shopping. Waiting until the end of the season for the best savings, or shop deep discount sales times like Black Friday. 32. Discount cards. Most stores have loyalty programs or points based systems in place that reward you for simply shopping. My grocery store actually allows me to cash in points to reduce my bill! 33. Give out your email (points, savings, deals). 35. 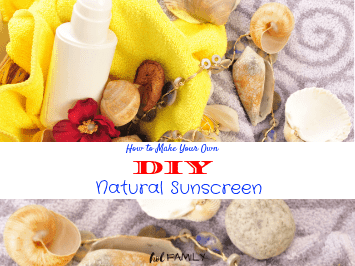 Have you ever tried making your own sunscreen? Shampoo? Hairspray? How about muffins and granola bars? 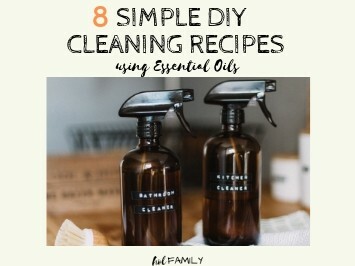 Almost everything you can buy can be made easily at home! 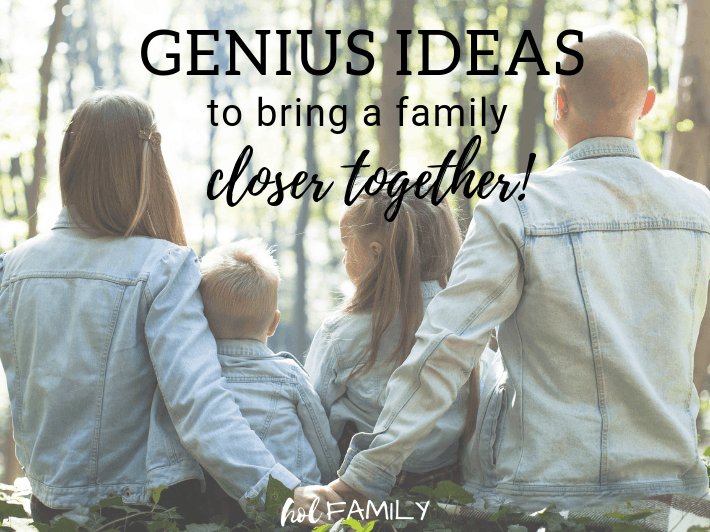 Not only is it a fun weekend project to do DIYs, but you can invite a bunch of friends over and make batches all together! Girls weekend? 36. Try meal planning. Once a week, I sit down and actually plan a whole week’s worth of meals. This goes on our chalkboard wall, and I am able to go grocery shopping just once a week because I already know all of the items I will need. 37. Buy frozen. Although we love fresh food, it is hard to find all of our favorite fruits and veggies in season all year long. Buying frozen means the food has more nutrients (because it was frozen right away) and also means we save a lot more money gram per gram when compared to fresh items. 38. Never shop hungry. Seriously…don’t do it! Your cart will double (and so will your waistline with all of the junk and impulse items you’ll be prone to). 39. Try making homemade gifts. Candles, bath salts, scarves and blankets. Get crafty and hone in on those creative skills. 40. Adjust tax withholdings. Consult a tax professional first, but you may be able to adjust your tax withholdings based on certain criteria such as income brackets. You also may qualify for tax rebates so it is always good to look into this as well! 41. Date night jar. Dinner and a movie can cost you nearly $100 dollars now, so why not opt for some inexpensive options. Try making up a jar with fun date nights that cost under $10. Think mini putt, a movie night in, wine and chocolate, star-gazing, a leisure bike ride, a romantic picnic, and more! 42. Do your own cleaning. 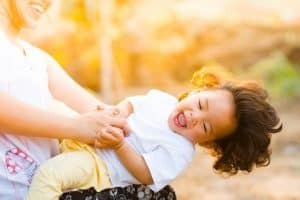 I was shocked to hear how many Mamas are paying to have their houses cleaned when I was at a birthday party with my son. What shocked me even more was how much it is costing them a month! Roll up your sleeves, make chore lists for the whole family, and you’ll find that the time spent cleaning is worth the extra cash in your pocket at the end of the month! 43. Plant some seeds. Gardening! Food is usually a major expense for people and organic produce comes at a premium! Gardening can be therapeutic and fun! 44. Clothing exchanges. Most women are replacing their wardrobes every year or two and a lot of the clothing is still in great condition! Why not organize a clothing exchange with some friends or neighbors and trade in for something new to you! 45. Mend! Instead of throwing away that shirt or pair of jeans just because it has a minor imperfection, get out your needle and thread and try to salvage it before tossing it in the garbage. Maybe those jeans could become a cute pair of cut-off shorts or that tank top could be worn layered under a second one? 46. Buy local. Many local farms offer everything from meat, eggs, produce, honey, beans, grains and more at a fraction of the cost when you buy directly at the farm! Farmer’s markets are another great place to try! Not only are you supporting local farmers but your food will have more nutrients because it didn’t have to travel hundreds of miles to reach you! 47. Skip the lease. This one deserves a whole new blog post, but suffice it to say that leasing is like “rent to own” on homes but without the home at the end of the lease. It is NOT a cost saving alternative. Instead, I would recommend buying a used vehicle that you can pay cash for. 48. Be generous. The more you give, the more you will receive. We have noticed this principle to be true in our lives. It is Biblical but it also makes sense from a dollars and cents perspective. Many charitable donations come with added benefits on your year-end taxes! 49. Live within your means. It can be tempting to want to buy the latest version of your favorite phone, or to get a new car every couple of years. But, remember your long-term goals and keep in mind that although it may appear that your neighbors or friends have it all, possessions don’t equal wealth (or happiness) and many people are in debt up to their eyeballs just to trying to have it all! 50. Learn to be content. 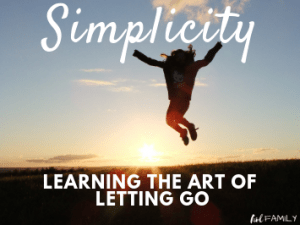 Instead of always thinking about what you don’t have and dreaming about what you could buy with all of this money have saved from following the ideas in this post, why not look at how much you already have! Compared to most of the other countries in the world, we are SO blessed! Guaranteed you have so much more to be grateful for than you realize. So count your blessings and teach your children to do the same!!! Have I missed anything? 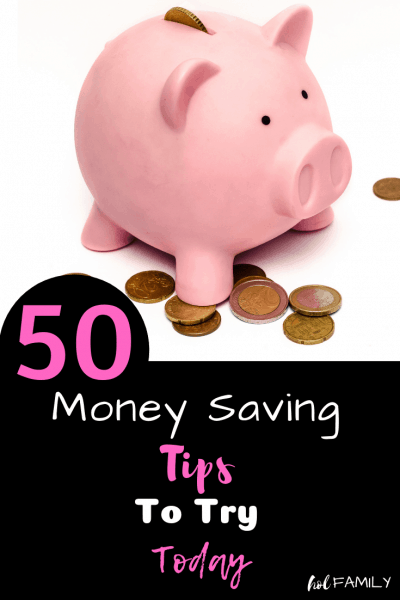 What is one of your favourite money saving tips?